There are a variety of lionfish holding bags available on the market and each one has a unique design and set of features. The purpose of this article is to help separate the advantages and disadvantages of each one that we carry for sale in order to help you select the best one for your style of diving. There are 4 main characteristics that are important when selecting the correct unit: Price, ease of carrying below the water, ability to travel with the rest of your dive gear in a suitcase or bag, and resistance to puncture by the lionfish spine (arguably the most important of the four characteristics). All of the units we sell are Made in the USA. The preferred containment unit for most purposes is the Zookeeper LCU which comes in three different sizes: 18” long, 24”, and 28”. All are 7 inches in diameter and otherwise identical except for length. The Zookeeper has the best puncture resistance of all the units, and has several well designed features such as its unique funnel entrance for inserting the lionfish and a very good drainage system on the bottom which allows for minimal drag when swimming and lifting out of the water. The funnel entrance is very good at making it easy to insert the lionfish and still preventing even the small ones from escaping, and there is a spin-off cap on the bottom for safely dumping the lionfish out at the end of your dive. For most divers in most locations who are taking 5-20 lionfish per dive the 18” or 24” will be sufficient. The larger 28” is recommended for divers who are hunting commercially or in areas where the lionfish are more abundant. The Zookeeper’s drawback is that its rigid puncture proof design makes it a little more bulky to carry and pack on vacation when flying. It is also the most expensive of the units we carry, but the Zookeeper’s design advantages still make it one of the best values in a lionfish containment unit. The Lionfish Hotel is a lobster-bag style flapper valve with a puncture resistant dry bag attached to the mouth. This unit is a little more compact because the bag folds up, but the flapper valve and entrance are rigid. It can also still let small lionfish out around the corner of the valve, but does an excellent job of keeping the larger ones inside. Price is an advantage with this unit as it is one of the least expensive options. The biggest problem we have with this unit is the minimal drainage at the bottom. 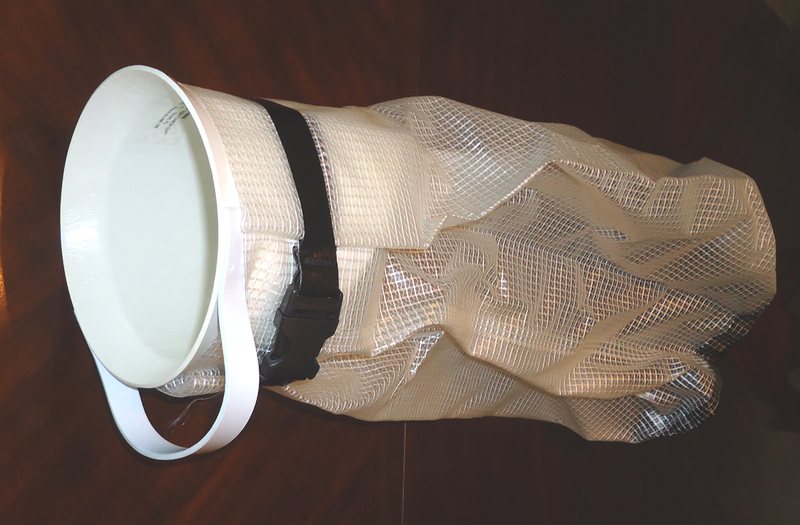 There are only a few grommets to allow the water to flow out to reduce drag while swimming so you need to tilt the water out of the mouth opening when coming out of the water with the bag full. The Armor Bags lionfish holding bag is probably the most convenient for travel because it is soft and rolls up to take up very little space in a dive or luggage bag. It’s one of the tougher to use single handed, much easier to have one person open the bag with two hands while the other inserts the lionfish. There is a second opening about 6 inches down inside the bag that prevents lionfish already inside from escaping when the top is opened for inserting another fish. 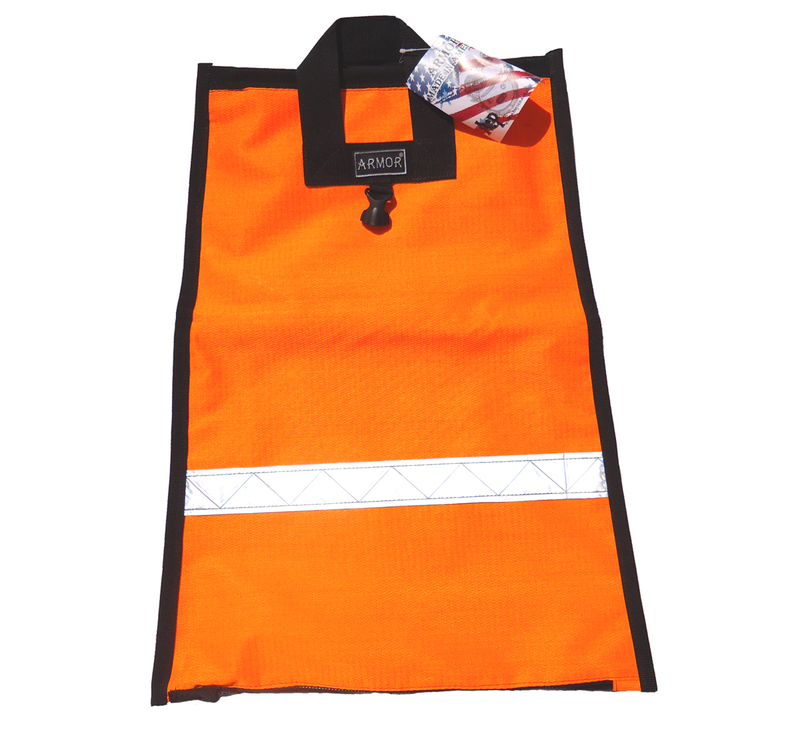 This bag comes with a lifetime warranty and is very durable. It has excellent drainage, probably the best drainage of all the units, but that is because one side is puncture proof and the other side is a mesh that allows easy drainage but can also allow spines to poke through. The diver needs to be very conscious when carrying this bag that they keep the puncture proof side toward them at all times. Drainage is almost immediate when coming out of the water because of the mesh on one side. We've seen some pretty creative homemade units while travelling around the Caribbean lionfish hunting. While these units are functional, the ease of use of the commercially available units make them well worth the money spent in our opinion. However, if you want to try making your own click here for a tutorial on making your own lionfish container. We hope this helps when making your decision of which lionfish containment unit to purchase and we always appreciate your feedback. Please contact us with your own opinions of which unit you prefer and why.